Romanian IT&C company Asesoft Distribution's own brand, Serioux, was the best sold of its products, with USD 10 million in sales last year, according to the company. 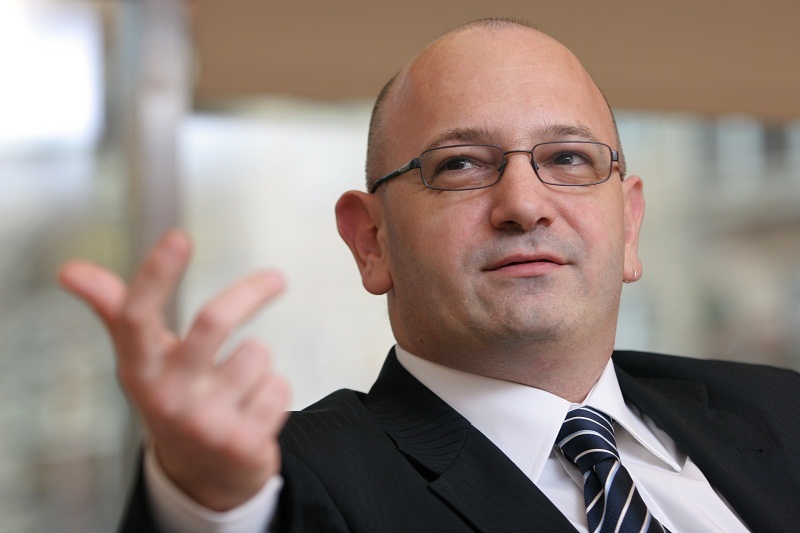 Asesoft hopes to grow sales to USD 14 million for this brand in 2011 according to Razvan Ziemba (in picture), the company's general manager. The company also plans to start selling these Romanian products internationally through distributors in the Central and Eastern Europe. The Serioux products have been developed in Romania for the last five years and include desktop PCs, portable media players, gaming controllers, GPS devices. The IT&C company also plans to produce laptops, netbooks and tablets in its Serioux series, as well as HD media players, accessories for Playstation, Xbox and Wii consoles. Asesoft currently sells the Serioux products through 1,000 distributors, IT&C retailers and online stores in Romania. Asesoft also owns 51 percent of online retailer eMag.ro and has also bought into IT&C retailer Flanco. Asesoft's revenues for the first half of 2010 were 33 percent up on the same period of 2009, to USD 67.8 million, and the target for the entire 2010 was a turnover of USD 180 million.